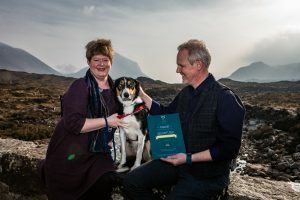 We were selected as one of the three finalists in the Taste Local Awards for Skye and Lochalsh 2019. 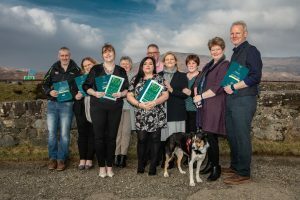 The Awards ceremony was held at the Sligachan Hotel on 27th February, where the staff had created a great environment and setting. 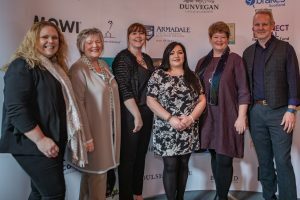 We were delighted and proud to be there with other great businesses from the Isle of Skye and Lochalsh. In the Best B&B or Guesthouse category we were up against some really stiff competition from Coruisk House and Hillstone Lodge. Stunning locations, beautiful B&B’s and wonderful hosts. So whilst the winners were Hillstone Lodge, we were just very proud to have been in the mix. It was a very successful day for Lochalsh, as Beth’s Deli & Cafe in Balmacara won Best Cafe or Coffee Shop and Bhuth Bheag in Kyle won Best Retailer. Both provide a very warm ‘Highlands’ welcome for our guests and some fantastic locally produced foods. The Plockton Hotel was also a well deserved Finalist from Lochalsh…..and no wonder….their food and service is beyond excellent and thoroughly enjoyed by so many of our guests.